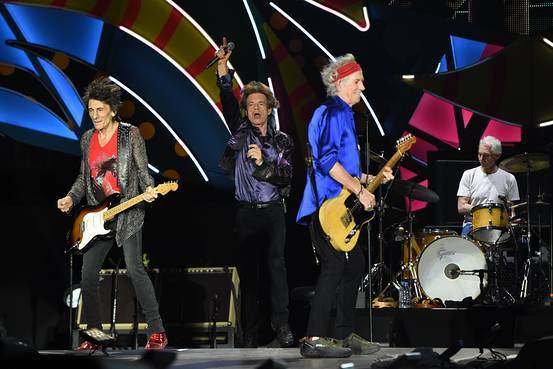 The Rolling Stones will play a free concert in Havana on March 25. Dubbed the “Concert for Amity,” the show will take place at the Ciudad Deportiva de la Habana. The Associated Press notes that they are the biggest act to play Cuba since its 1959 revolution. “We have performed in many special places during our long career, but this show in Havana is going to be a landmark event for us, and, we hope, for all our friends in Cuba too,” the band said in a statement. A press release says the band will perform their hits, along with “special gems” from their catalog, and has been in the works for months. Even better reason to go there! I imagine they would have to play free there. Certainly no one there could afford their regular ticket price! What a great gesture by giving to those unfortunate souls who have been crippled by a dictator. Bravo!!!! re: no one there could afford their regular ticket price! I thought Cuba was a worker's paradise. I wouldn't be suprised if this is video taped, HBO / commercial release afterwords, and becomes a cash cow for the Stones ? Or maybe just a good natured Mick and friends gift ? They could reduce their ticket price if they wanted to. These guys are ruining it for the rest of us trying to make a living. Who's going to hire me if they can get the Stones for free? As has been alluded to in other posts, they will make out on this in some way! HBO specials sounds about right! Maybe it won't be a bad thing and helped to wet the people's appetite to Western culture. I think Iron Maiden played a couple gigs in East Germany before the wall came down. Personally, I wouldn't want to play in a country where I could be jailed indefinitely at the whim of a dictator. No thanks. Wasn't that long ago if you were listening to the Stones in public ( even worse, in private ) it could mean that you explain the dialectic of youranti social behavior in a soundproof office. Let's see... free Stones concert. Wonder who's providing the security? While Castro is undoubtedly a dictator, the crippling of the country was caused by an economic blockade from outside. I realize you're making a joke, but I saw concerts for free or cheap nearly every day and night I was there. The arts are supported and widely available to people who have little money. Of course it's complicated, and I don't want to fire up politics here. bongomania - Interesting. What brought you to Cuba? Where were the free/cheap concerts you attended held? Were those concerts open to the public? What acts did you see? The arts are supported as long as the artists themselves are ideologically correct, or members of the party and/or their extended family.
" Complicated " is something many of us here would listen to you explain . It's the " ..of course " bit that intrigues me .